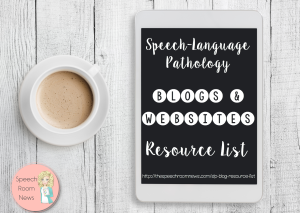 Welcome to day 2 of Fluency Week at Speech Room News! 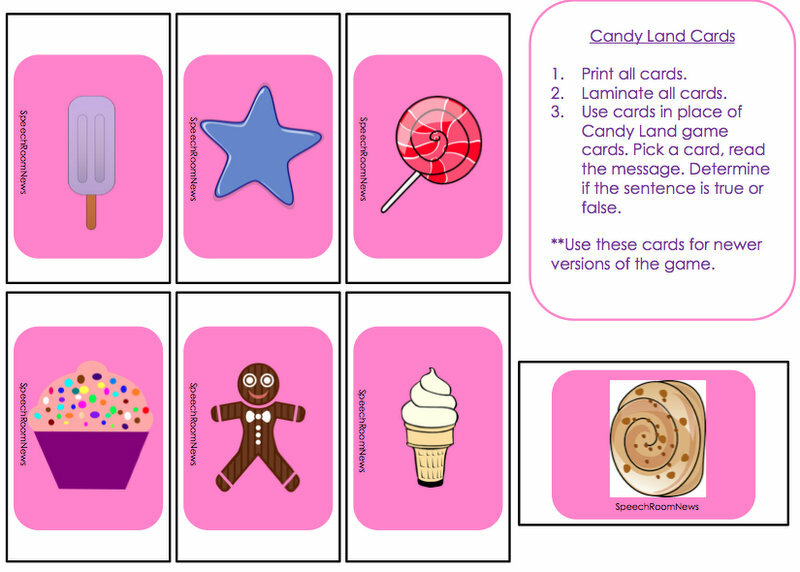 Today I’m introducing another version of my adapted Candy Land Cards. The Candy Land Fluency cards include games for education, desensitization and fluency practice. 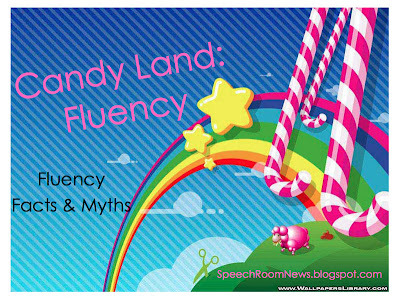 Included 4 games are: Fluency Facts & Myths, Practicing Goofy Speech, Fluency in Words, and Fluency in Phrases. The document is 42 pages long. Each game includes a cover sheet (perfect for placing inside a plastic bag for storage!) 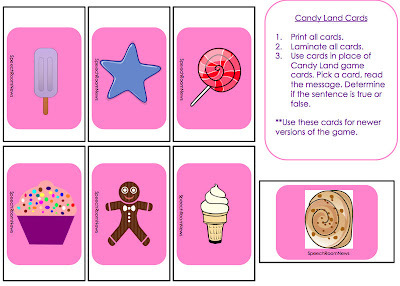 The special game cards are included for two different versions of Candy Land. The Myths & Fact game contains cards with statements about stuttering. Most are easily identified as true or false. 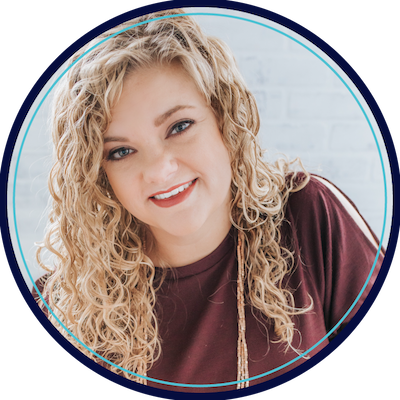 Some are more ambiguous and should spark conversation in your groups! 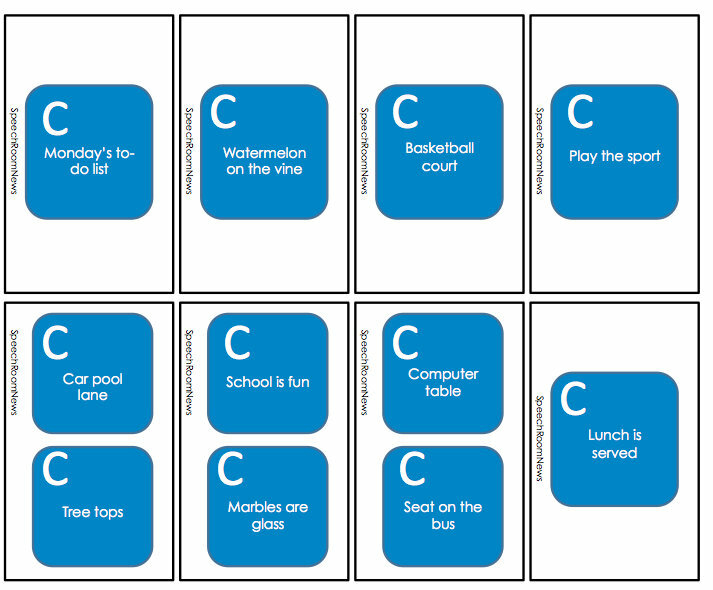 This would be a GREAT activity to send home with your students to play with their families! I played it with my iPad out on the table. When we had a debate over a statement we looked up the answer! 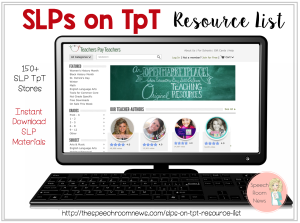 It was a great way to find reliable websites to introduce my students to for information about fluency. 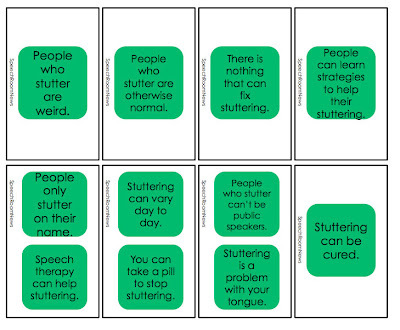 To work on desensitization with your students, play the Practicing Goofy Speech Version! 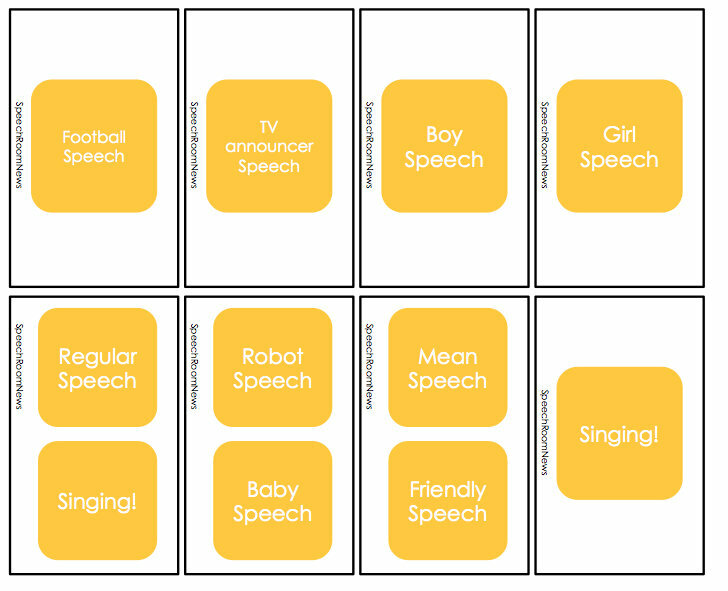 It includes cards with different types of speech. Practice ‘mean speech’, ‘tv announcer speech’ and robot speech while you practice being in control of your own voice! The Fluency in Words game includes single words listed on each of the CandyLand squares. 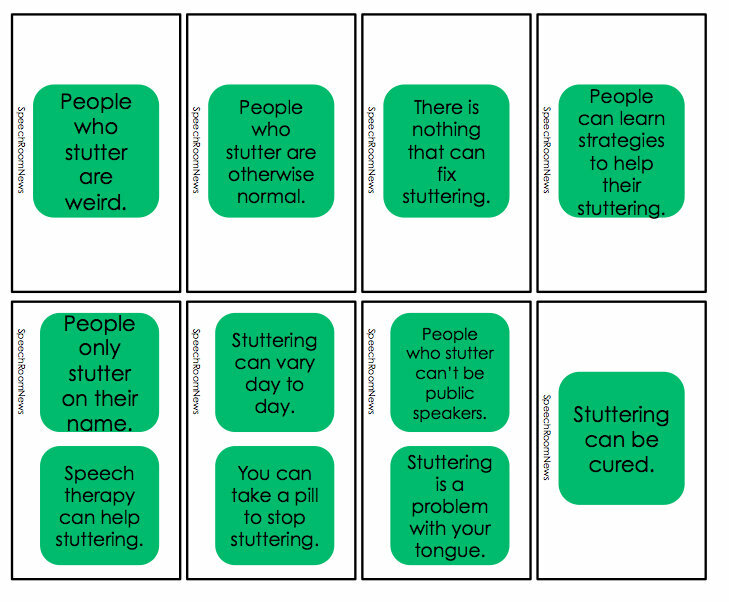 The letter in the corner indicates the skill to be completed for each word. 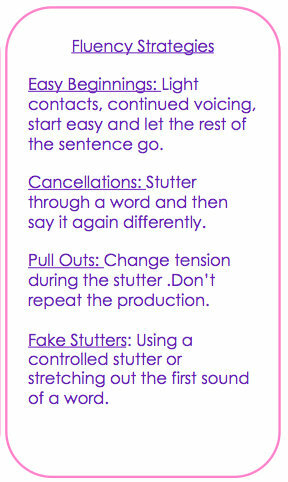 In this example, F indicates Fake Stuttering. 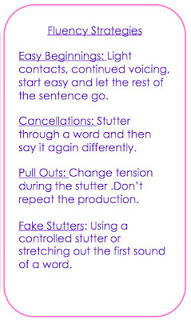 The included cheat sheets indicate the fluency strategies to practice (fake stuttering, pull outs, cancellations, and easy beginnings.) The Fluency in Phrases game includes the same letters in the corners indicating which fluency strategy to apply. The squares have phrases to practice. 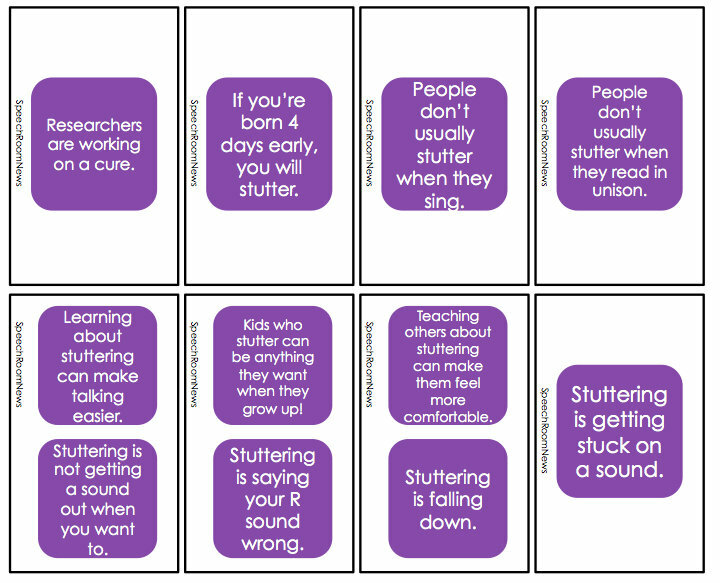 You can download this game in my TPT Store. I hope you love CandyLand as much as I do! Today is also the LAST day of my 10% off Labor Day Sale! If you need the fluency edition make sure you grab it today! If I had a dollar for every game of Candyland I’ve played in the last 16 year, I could retire. And live quite comfortably, too. Just another reason to love Candyland. I love this!